Planning an event in Marquette, MI? 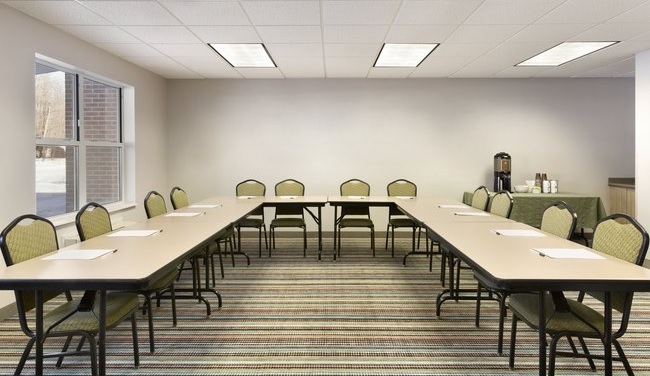 Consider the 525-square-foot meeting room at the Country Inn & Suites. This flexible space accommodates up to 30 attendees and is equipped with amenities like free Wi-Fi, a flat-screen TV and other presentation aids. As an added bonus, we also offer beverage service to ensure your guests stay refreshed. Be sure to ask our staff for catering recommendations if your meeting runs through lunch.